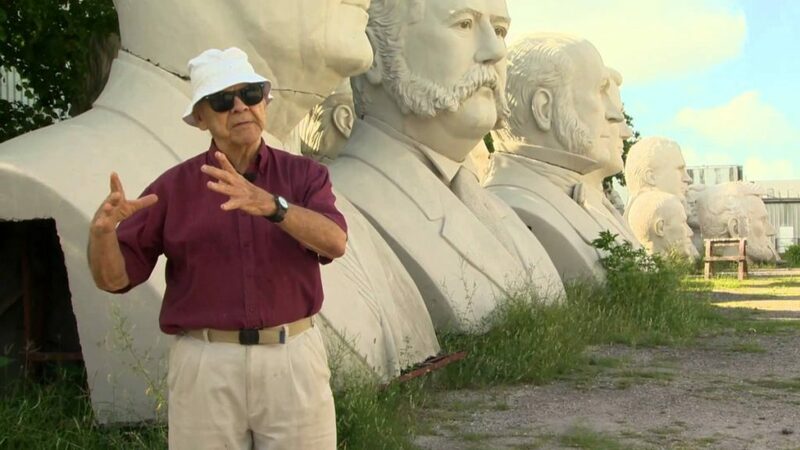 David Adickes, the distinguished artist who created the monumental artworks on display at Presidents Park, has a reputation that spans the globe. His highly celebrated artwork and sculptures are displayed in ten major art museums across America. Famed author James A. Michener, commenting on a sketch that Adickes made of him, described it as “…the best portrait that’s ever been done of me. It looks more like me than an accurate photograph.” Michener’s book, entitled Adickes: A Portfolio with Critique, is published in both French and English, reflecting the sculptor’s strong international appeal. Mr. Adickes created a personalized eight foot bronze statue of the elder George Bush when he was President. This statue is located in the Bush Intercontinental Airport in Houston, Texas. His 18-foot statue of Andrew Jackson sits in front of the Fine Arts Museum in Jackson, Mississippi, and his 76-foot statue of Sam Houston has become an icon for Huntsville, Texas.